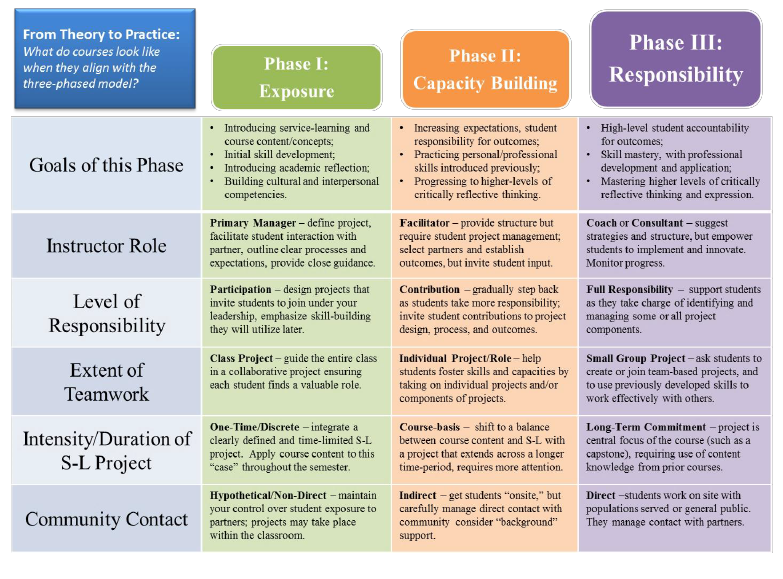 experience using the Three-Phase Model to guide the design of the service-learning activity. Howe, C. W., Coleman, K., Hamshaw, K., & Westdijk, K. (2014). Student Development and Service-Learning: A Three-Phased Model for Course Design. International Journal of Research on Service-Learning and Community Engagement, 2(1), 59. Retrieved from https://journals.sfu.ca/iarslce. PDF version.